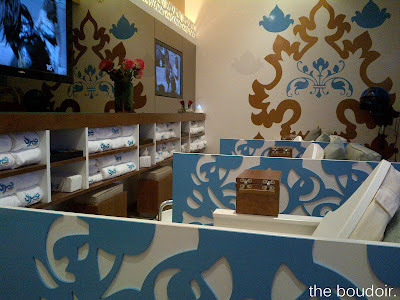 Thankfully, I have never had any problems with any nail salon in Kuwait. I like them all. But lately, I've been avoiding criwded nail salons, I prefer quieter ones to relax. 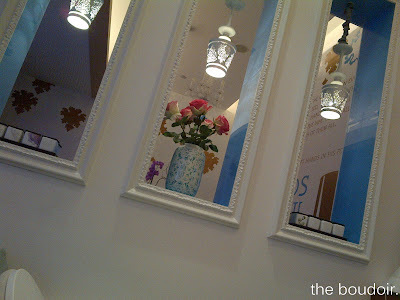 Places I still go to are Nails Bar Boutique in Al-Awadhi Complex and Nailtini in Surra. 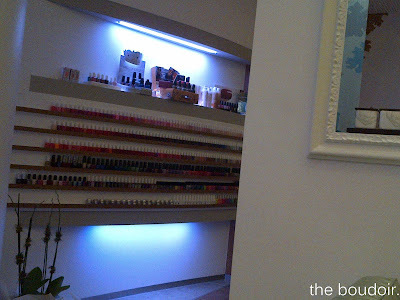 I also like Nail Polish in Jabriya but its always fully booked. 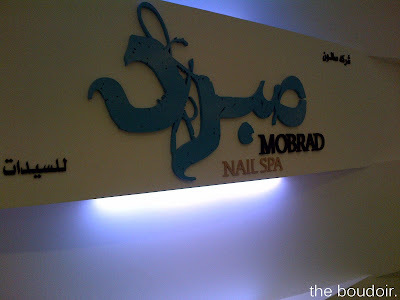 So recently, I've been wanting to try Mobrad Nail Spa, but everytime I call I found that they were fully booked, so you can't imagine how happy I was when I finally found an opening. I'm not saying this because its the newest place, but because they did an excellent job on my manicure/pedicure and the service was the best, everyone was super sweet, that I didn't want to leave. Best of all the TV was on E!. 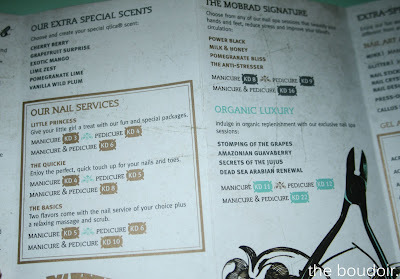 Other than doing your nails, they've got hair treatments, hair removals, and a head massage. Location: Al Tijariya Towers -Basement. The decor is very cozy and inviting! but reminds me of nail it. have you ever tried nail it?